Here I will list people that teach, play in bands and people that make and repair instruments. If you would like to be listed please send me any info or pictures you want me to put here. Over the years Glenn Miller has become what I call a close friend even though we have never met. Only via the internet and webcam. We have had some funny moments and even shared beers if thats possible by webcam. Glenn has a very interesting history including playing with Bill Monroe. His website has all these stories to tell if you visit. What I love is you can get a lesson via website anytime of the day or night. Most of us have busy lives and limited time so this is a great option. Here is a sample of what Glenn does. Peter Somerville is another beautiful talented person I am lucky to know. Over the years Peter has been very supportive and incouraging and I am only happy to advertise for him here. Check him out. I just keep meeting the right people in life. 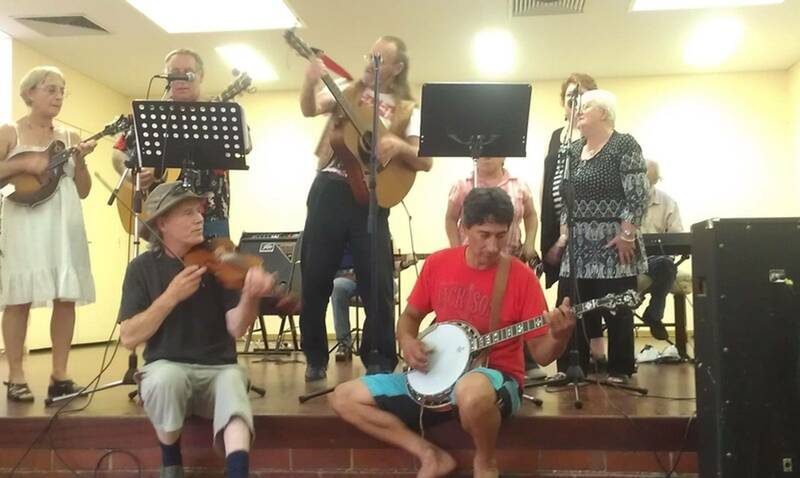 Jim is another beautiful man playing banjo and teaching. Also very incouraging and kind to me. Jim is an icon and does a lot for our bluegrass community. I might sound like a broken record but David is another beautiful talented man that has crossed my path in life. I must tell this story. I wanted a new guitar and found one I liked but I could not hand over the $2000+ because it was built in China. Very nice guitar but I had a block in my brain maybe because I built banjos, I thought it is factory made and I dont know who made it. I remember David made Ukuleles, mandolins, guitars so I called him and went to his house. He had 3 or 4 50% built. I wanted something different and I saw one with Tiricote back and sides, red spruce top, I requested a mahogany neck. I will have it soon and I am soo happy to have a handmade custom guitar from somebody I know. Email me while I get permission to post contact details. Frank is a well known Earl Scruggs player who can get you sounding like Earl quick smart. Email me for contact details.